The Rome Foundation has a 15-year history of sponsoring research and recognizing outstanding publications on the functional gastrointestinal disorders. The goals of the research program have been three-fold: (1) to test the validity of the diagnostic criteria so that revisions to the criteria can be empirically based; (2) to increase knowledge of the prevalence and epidemiology of the FGIDs, especially in non-Western countries, in order to provide new insights into pathophysiology; and (3) to interest young investigators in research and clinical practice in the area of functional gastrointestinal (FGIDs) and motility disorders. Request for Applications: Research Grant Contract for Development of the Rome Foundation Research Institute Investigator Platform (RFRI-IP). The Rome Foundation is seeking a research contract for the development and testing of an Internet-mediated platform designed to collect and manage FGID clinical data, which will be utilized in an enduring collaborative multi-center and multi-national research initiative. The project requires demonstrated expertise in FGID research and Internet-mediated data collection methods. The initial term of the contract will be 24 months, optimally starting April 1 2019, with extensions possible as required by the RFRI. Proposals must be received by March 25, and must include a budget, a detailed proposal including a plan for the research methodology, and a statement of work. 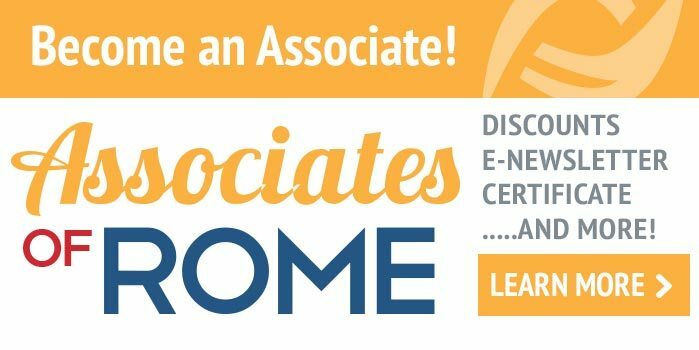 For further information or to apply, contact the Rome Foundation’s Executive Director Johannah Ruddy at jruddy@theromefoundation.org. Please note: This research grant contract will only pay for direct costs, but not institutional overhead. This new award is jointly sponsored by the Rome Foundation and the Aldo Torsoli Foundation. Candidate investigators can apply directly or be recommended by a letter of presentation of their peers. To be considered for this award, the candidate should be mid-level or senior level and have an academic record of research education, and patient care in the area of gut brain interactions (FGIDs). Candidates must have completed an MD or PhD and be currently active in FGID research. 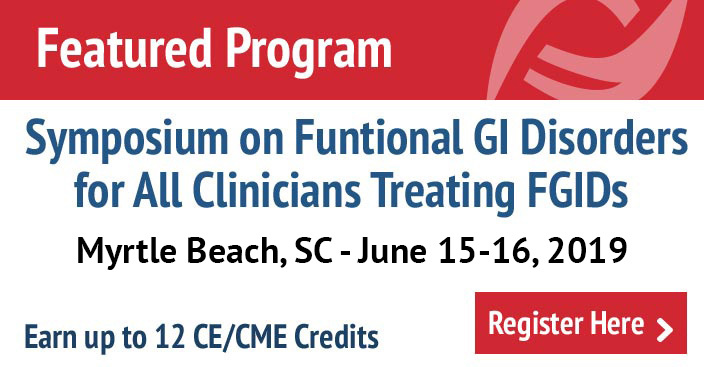 This award, estabished in 2015, is jointly sponsored by the Rome Foundation and AGA Research Foundation, is being offered to early stage and established investigators to support pilot research projects pertaining to functional GI and motility disorders. The Rome Foundation established a Research Committee in January 2007, which is currently chaired by William Whitehead and Uday Ghoshal. This committee was charged with (1) developing guidelines for an annual research award program, (2) overseeing the process of soliciting applications and reviewing them, and (3) monitoring progress of grants awarded through semiannual reports from awardees. This award had been discontinued and has been replaced by the AGA Research Foundation – Rome Foundation Functional GI and Motility Disorders Pilot Research Award. The Rome Foundation established a $1000 prize for the Best Published Research Article in Functional GI and Motility Disorders Award in memory of Ray E. Clouse, MD, a gastroenterologist and scholar at Washington University School of Medicine and a devoted member of the Rome Foundation. Dr. Clouse was a pioneer in the use of antidepressants to treat functional gastrointestinal disorders. The Rome Foundation also offers a $1000 prize for the most frequently cited research paper on functional gastrointestinal and motility disorders. This award is named in honor of the late Kenneth Heaton for his ground-breaking contributions to the development of positive diagnostic criteria for irritable bowel syndrome (the Manning Criteria) and the pathophysiology of constipation (the Bristol Stool Scale). Dr. Heaton (1936 – 2013) was a Consultant Physician at the Bristol Royal Infirmary, and Reader in medicine at the University of Bristol. The Rome Foundation Board of Directors selects this paper based on the Science Citation Index and the winner is announced at Digestive Disease Week. The Rome Foundation has provided funding for cross-cultural epidemiologic and validation studies. These studies have involved translation and validation of the Rome II and Rome III questionnaires and will provide the first population-based data of a range of gastrointestinal diseases, with a focus on IBS and FGIDs. This will further advance research and teaching collaborations in many areas and will generate a broad portfolio of research which will benefit the region. A major change in Rome III was the development of a diagnostic questionnaire which asked subjects to report on the frequency of occurrence of symptoms on an ordinal scale rather than responding only whether the symptom occurred at least 25% of the time on a binary Yes/No scale. The Rome Foundation board commissioned a multi-site study to develop and validate this questionnaire ($58,978). In 1998, the Rome Foundation Board decided to support research studies on the validation of the Rome I criteria in order to provide a stronger empirical foundation for the revision of the Rome criteria that was anticipated. A Request for Application was published in 1998 and five awards of approximately $30,000 each were made in January 1999. Please note: It is the general policy of the Rome Foundation to only pay direct costs, but not institutional overhead (indirect costs), on research grants and contracts awarded.